Apart from our own comfort and convenience, the primary reason as to why many of us pour resources into our homes is to retain if not increase their value. We can never tell what will happen in the future, but if and when the time does come to let go of the property, we obviously want to get the most out of it. Contrary to popular belief, you don’t necessarily need a small fortune to spend. Even with a modest budget, a few smart investments can yield equally desirable results. 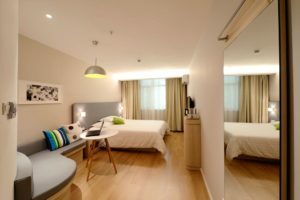 Often a severely overlooked element in many homes, energy-efficient lighting such as light-emitting diodes or LEDs as they are more commonly known, can improve the value of a property significantly. Not only can they illuminate an area better, but they do so with just the minimum required energy. What this essentially means is that their value comes from the reduction in energy consumption and associated bills, making them more of a necessity than a luxury in today’s world. 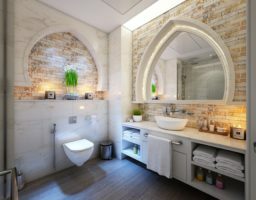 While a clean and functional bathroom is oftentimes adequate, giving the area a lift in a few key areas can also help increase the value of your home. From illuminated vanity mirrors that help keep energy consumption down to a modern shower cabin with thermostatic control and multi-function shower heads, these investments should impress any aspiring homeowners and go a long way to future-proofing the property. Another element that many homeowners tend to forget about is the insulation. While it is usually hidden and out of sight, it nonetheless serves an important purpose of keeping the temperature warm or cold in an efficient manner. In fact, a home that is properly insulated should see significant savings in energy bills. A new coat of paint can drastically change the look and feel of any home, but it can often prove to be pricey in both materials and labour. To this end, a smarter investment would be to use wallpaper instead. Not only can it effectively hide a multitude of sins, but it is cost-effective as well and a project that can be tackled by anyone with a few inexpensive tools. It isn’t difficult to get overwhelmed when tasked with improving the value of our homes. The cost alone can oftentimes be staggering, and the time in labour certainly doesn’t help. The key to success lies in pragmatic and sensible investments. Spending a little more on functional upgrades can make all the difference later on while alternative and inexpensive aesthetic improvements can help keep the costs down. At the end of the day, it all ultimately boils down to weighing up the benefits of each investment.